With Readly you can read Great British Steam and thousands of other magazines on your tablet and smartphone. Get access to all with just one subscription. New releases and back issues – all included. More than 50 years on, Great British Steam takes a nostalgic look back at the locomotives, services, stations and personalities that defined an age. 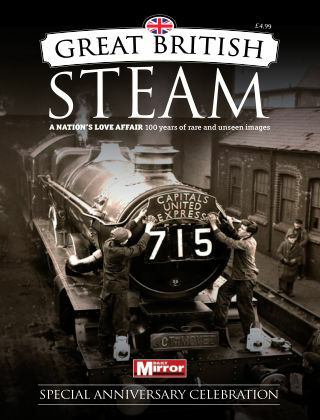 Packed with rare and unseen images from the magnificent Daily Mirror archive, we invite you on board for a journey through the last 100 years, revelling in a period when steam reigned supreme.